Brown spots on the skin could mean simply unsightly growths or life threatening lesions. Common but benign growths could be at least three kinds: sun freckles, flat patches of darkened skin called post-inflammatory hyperpigmentation, and seborrheic keratoses. More dangerous growths could be pigmented skin cancers like pigmented basal cell carcinoma, or even early or mid-late malignant melanomas. Dr. Kaminester in North Palm Beach has treatment for each of these unsightly types of growths and blemishes and can recognize other more dangerous pigmented growths that could be life threatening. 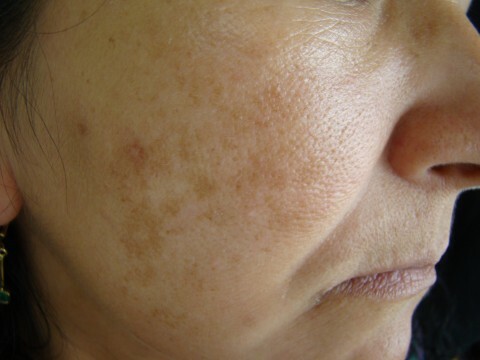 Brown spots, also called age spots or solar lentigines, and sometimes mistakenly called liver spots (because they have nothing to do with the liver except having a similar brown color) are seen most commonly on sun-exposed areas of skin, the face, hands, forearms, upper chest and top of the feet. They are a common sign of aging, caused by an accumulation of sun exposure over the years. They are not medically dangerous, but they are cosmetically unappealing, and a definite indicator to others around you that you are either old, sun-damaged, or both. The lesions are flat, lighter to darker brown, and may get gradually larger with time. They are actually usually very easy to treat. Their occurrence can be minimized by always using an effective sunscreen and sun-protective clothing! Treatment includes cryosurgery to touch these growths with liquid nitrogen. They then fall off in a week or ten days, depending on the location and size. Skin bleaching agents are most effective on facial areas, less so on other areas of the body. When located on the face, Dr. Kaminester uses liquid nitrogen, topical bleaching agents, or face peels to even out the color and texture of the face. Often he uses a combination of all three to get the best cosmetic results! Chemical peels remove the damaged outer layer of skin on the face and are used to treat uneven pigmentation and produce a healthier looking glowing skin. While spas and non-physicians may use alpha hydroxyl acids (fruit acid peels) Doctor Kaminester usually uses dilute trichloroacetic acid peels; these peels produce a kind of mild sunburn reaction for a few days following the peel but then produce a more effective end result! The use of sunscreens, particularly a broad-spectrum sunscreen with a Sun Protective Factor (SPF) of 30 or higher along with “broad spectrum protection”, will give better protection against ultraviolet (UV) radiation and thus is one of the most effective ways to prevent the formation of these lesions. Seborrheic keratoses are raised often rough-surfaced growths, light to dark to even black in color. They can occur on areas of skin that are either sun-exposed or sun-spared. They often occur and get larger with age. They can look like dark beetles on the skin, or raised flat surfaced cobble-stoned growths, particularly unsightly when on the face or easily visible areas like the ears, hands, wrists and forearms. Dr. Kaminester in North Palm Beach has seen thousands of patients with these unsightly growths. Sometimes they bleed or the surface breaks off, and sometimes they are itchy and uncomfortable. Many people are unhappy and embarrassed by these growths. They are very common and often run in families. With few exceptions, they are benign, but their removal is relatively simple and quick. Dr. Kaminester removes them with an instrument specific for this purpose, which only removes the growth and does not go deep into the skin. Thus, healing is faster and the results are usually excellent. Patients are usually delighted and surprised at how fast and easy these growths are removed. 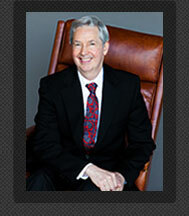 When you see Dr. Kaminester and his friendly staff, ask them about your growths and consider their easy removal. Post-inflammatory hyperpigmentation is the flat darker brown to reddish brown patches that can form on the skin after trauma, injury, or a bad or inflammatory rash. This darkening of the skin, most common on the lower leg and tops of the forearms, is cosmetically unsightly but completely benign. It often occurs in older age and patients taking blood thinners like coumadin, Plavix and aspirin. Despite false advertising to the contrary, there is no good cure for this type of skin discoloration. Sometimes it improves on its own with time. Other brown spots may not be benign. For further interest, look up the subjects of pigmented basal cell carcinoma and malignant melanoma on this website! Contact us to schedule a consultation or to learn more.